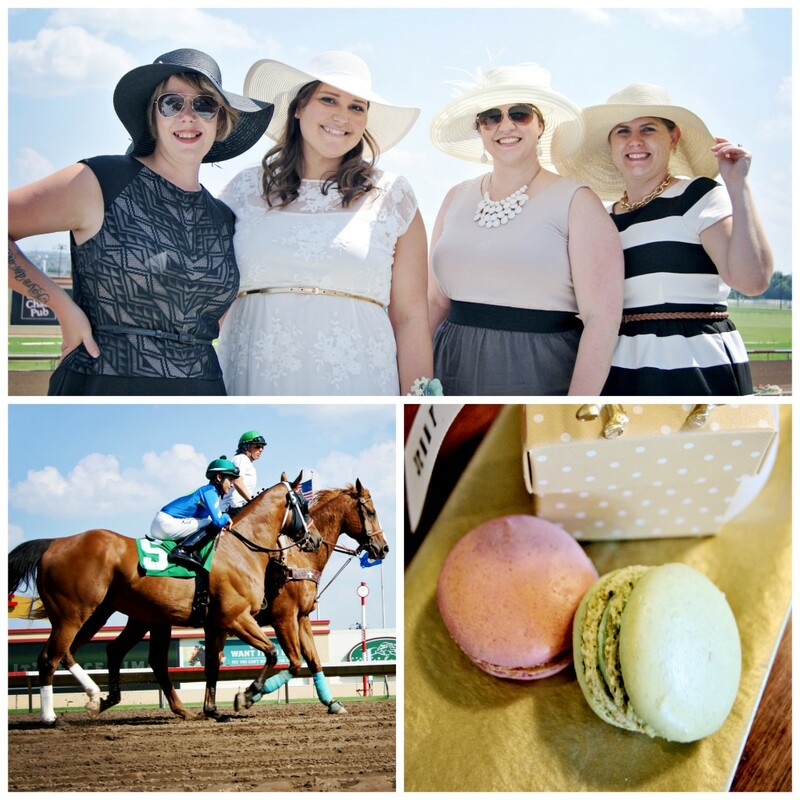 Even though California Chrome had already been in the winner’s circle of the Kentucky Derby a few months before, this bride loved her Lucky in Love derby-themed shower, complete with fancy dresses and big, floppy hats traditionally worn at the race. To set the tone and tie all the bridal shower ideas together, the bride-to-be chose Off to the Races Bridal Shower Invitations. Before heading to the track, all of the guests met at a local restaurant for lunch and to shower the bride with gifts. The table was sprinkled with photos of the bride growing up, along with pink and gold accents using the Gold Faux Glitter Small Table Decor. At each place setting were small favor boxes adorned with a golden horse and a ribbon stamped with each guest’s name. Inside the boxes were strawberry, chocolate and pistachio flavored French macarons and lucky two-dollar bills for betting. During lunch guests were asked to fill out a Washi Tape Comment Card to give the bride some advice for the future. 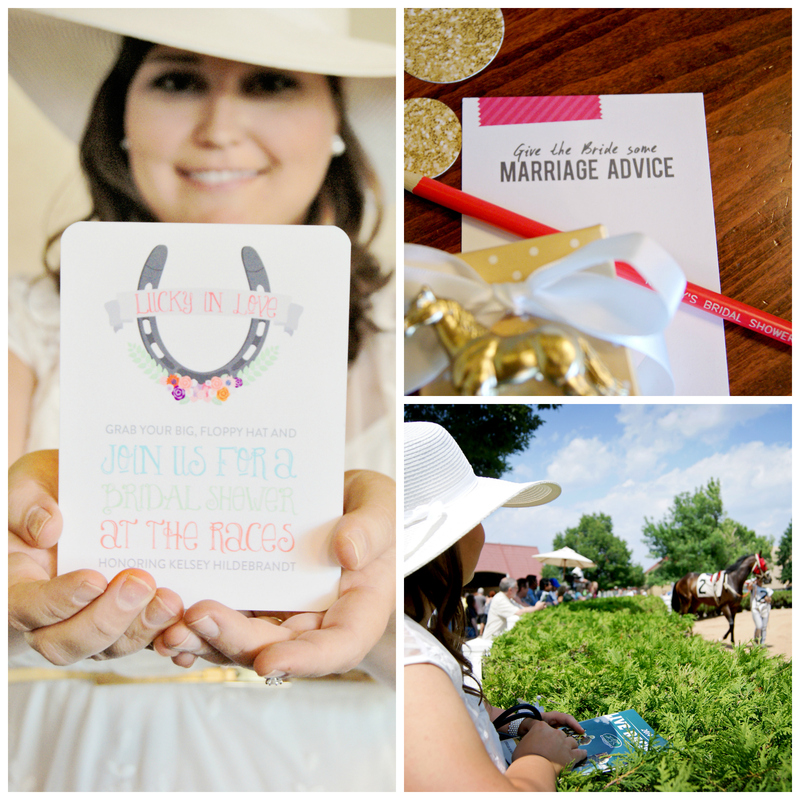 The comment cards were read aloud while the bride opened gifts and provided plenty of hilarious and practical advice. 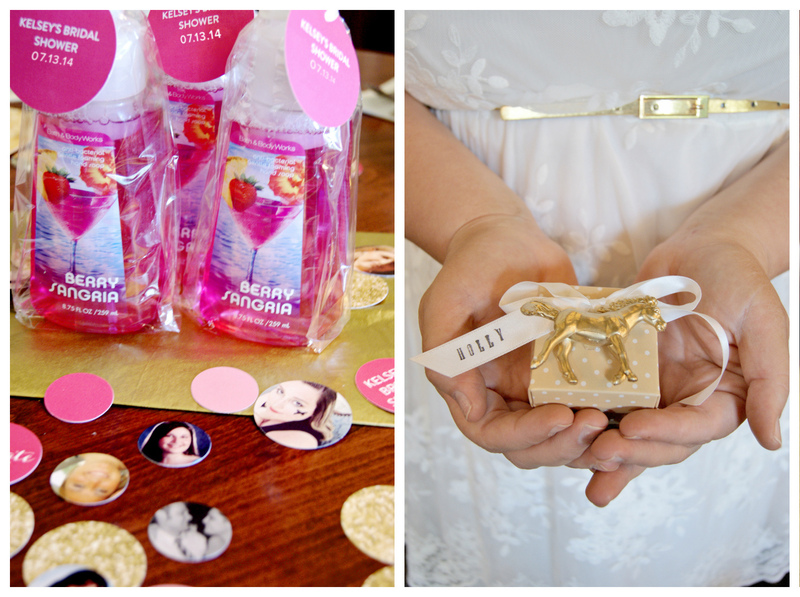 Guests also took home soap favors with a Simple Strands Favor Tag thanking them for coming. At the track, the programs included a betting guide, and the girls had fun picking and rooting for their winning horses. The bride was over the moon for her derby shower and all the little beautiful details, and guests had a lot of fun dressing up for the occasion. Start personalizing your bridal shower invitations at Pear Tree Greetings. Or, if you’d like to read more bridal shower ideas, keep reading our blog!